To build a precision tool holder for a drawer in my tool box. After tracing the various tools onto a piece of wood, I utilized the CNC machine and chisels to carve away the tool shapes. 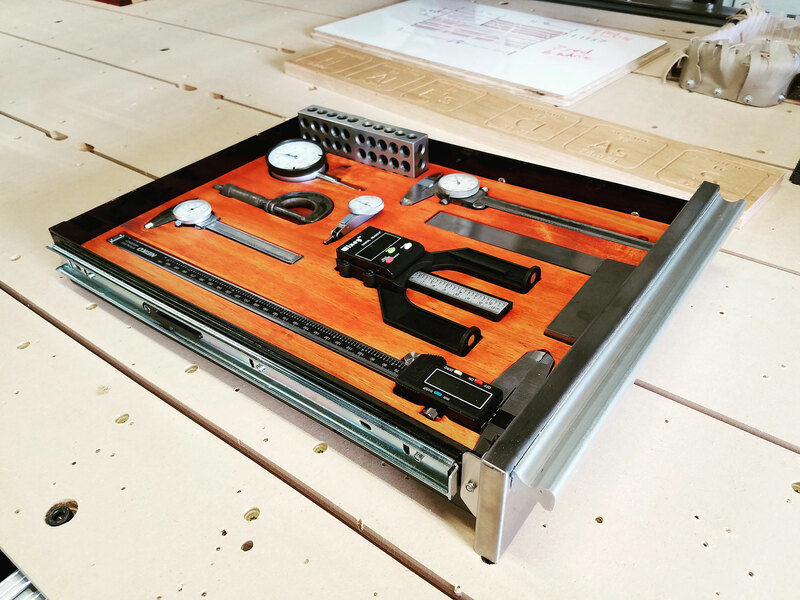 A custom fit drawer holder for all my specialty precision tools.